וַיֵּרָא אֵלָיו ה -- Hashem appears to Avraham. On a peshat level, this conversation is not interrupted by the visit of the three men. Rather, it is the visit of the three men. However, this leads to a possibly uncomfortable theological conclusion about whether God is corporeal or, to a lesser degree, can manifest in what appears to be human form. Chazal interpret these pesukim otherwise, in which Hashem first visits, is interrupted by the arrival of the three men, and resumes his conversation with Avraham after the three angels leave. This is most likely understood by them not merely as derash but peshat as well, just as the Rishonim understood it. Shadal says וַיֵּרָא אֵלָיו ה, via his angels, as it continues to explain. And he refers us to Rashbam and Nisivot Hashalom. וירא אליו ה' - האיך? שבאו אליו שלשה אנשים שהיו מלאכים, שבהרבה מקומות כשנראה המלאך קוראו בלשון שכינה, כדכתיב: כי שמי בקרבו שלוחו כמותו. וכן: וירא מלאך ה' אליו בלבת אש מתוך הסנה. וכתוב שם: וירא ה' כי סר לראות. One could argue with Rashbam's presentation, and say that only two were malachim and the third, central one, was Hashem. I agree. Not all three were Hashem. Two were malachim, who accompanied Hashem, and one was some deeper manifestation of Hashem's presence. (a) any angel is a manifestation of Hashem, and angels can surely split up -- the later 'Hashem said' is the agent speaking in his Master's name. (b) any angel can be said to be a manifestation of Hashem, and that manifestation can be in the image of three or in the image of two, as appropriate. פסוק י"ח: וַיֶּאֱהַל אַבְרָם, וַיָּבֹא וַיֵּשֶׁב בְּאֵלֹנֵי מַמְרֵא--אֲשֶׁר בְּחֶבְרוֹן; וַיִּבֶן-שָׁם מִזְבֵּחַ, לַה. which immediately preceded the first destruction of Sodom, at the hands of man. וְהוּא יֹשֵׁב פֶּתַח-הָאֹהֶל -- the midrash has it that he was looking for guests, as a way of highlighting Avraham's hospitality, which certainly is stressed elsewhere in the narrative. As peshat, it introduces the lifting up of his eyes such that he sees guests in a distance. One entrance to the tent, not four, on the level of peshat. ה וַיֵּלְכוּ בְּנֵי-רִמּוֹן הַבְּאֵרֹתִי, רֵכָב וּבַעֲנָה, וַיָּבֹאוּ כְּחֹם הַיּוֹם, אֶל-בֵּית אִישׁ בֹּשֶׁת; וְהוּא שֹׁכֵב, אֵת מִשְׁכַּב הַצָּהֳרָיִם. 5 And the sons of Rimmon the Beerothite, Rechab and Baanah, went, and came about the heat of the day to the house of Ish-bosheth, as he took his rest at noon. This demonstrates that כְּחֹם הַיּוֹם means about the noon. Shadal says that this is why Avraham detained the malachim, since it was time to eat lunch and difficult to travel. Perhaps this is to show that Avraham was dozing, and this entire exchange happened as a vision. וַיִּשָּׂא עֵינָיו -- thus, in the distance. וַיַּרְא -- matching וַיֵּרָא אֵלָיו. This is the fulfillment and details of the preceding pasuk. שְׁלֹשָׁה אֲנָשִׁים -- is the Torah lying to us, by calling them men? At the very least, we know that later they are malachim. And we might want to even say that one, or all of them is Hashem! We can answer that just like dibra Torah kilshon bnei Adam, in the sense that the Torah speaks in accordance with the sometimes flawed understanding of the world, here too, also, since Avraham saw them as men, the Torah described them according to that perception. And that is not a falsehood. According to Ralbag, the three men were neviim, namely Shem, Ever, and one other prophet. And that they are later called malachim is because prophets are messengers, or malachim, of Hashem. Indeed, Ralbag in general understands malachim to mean human prophets. If so, the Torah is explicit here that these were men. וַיַּרְא -- although it already said this word above, the word is repeated. First, establish what he saw, at length, and then, describe his reaction to the right. Rashi takes the second instance to denote hospitality. Midrash Rabba takes one to refer to the angels and one to refer to the Shechina. וַיָּרָץ לִקְרָאתָם מִפֶּתַח הָאֹהֶל -- zerizut for the hospitality. ג וַיֹּאמַר: אֲדֹנָי, אִם-נָא מָצָאתִי חֵן בְּעֵינֶיךָ--אַל-נָא תַעֲבֹר, מֵעַל עַבְדֶּךָ. 3 and said: 'My lord, if now I have found favour in thy sight, pass not away, I pray thee, from thy servant. That is, we find a kametz under the nun. With a chirik, adoni, it should mean "my master". With a patach, it should mean "my masters". With a kametz, it should mean Hashem. Ramban explains that Avraham knew at this early stage that these were angels, and therefore referred to them by the name of their master, Hashem. One must grapple with the singular of תַעֲבֹר. Ramban understands this as distributive, that he addressed every one of them as the name of their master. 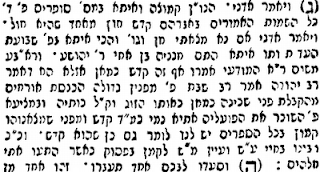 Shadal claims that Avraham actually said Adoni, with a chirik (and was thus singular), but this was made kodesh based on what would eventually come out. Rashi mentions the dual interpretations of this. Either he addressed the gadol of the malachim (and with a kametz will still be appropriate); or else, he addressed Hashem. Recall that first, Hashem appeared, and separately, these men/angels appeared. Thus, Avraham is saying to Hashem, please don't leave, but let me first take care of this mitzvah of hachnasas orechim. Rab Judah said in Rab's name: Hospitality to wayfarers is greater than welcoming the presence of the Shechinah, for it is written, And he said, My lord, if now I have found favour in thy sight, pass not away, etc.15 R. Eleazar said: Come and observe how the conduct of the Holy One, blessed be He, is not like that of mortals. The conduct of mortals [is such that] an inferior person cannot say to a great[er] man, Wait for me until I come to you; whereas in the case of the Holy One, blessed be He, it is written, and he said, My Lord, if now I have found, etc. Someone asked me that we know that hospitality is greater than welcoming the presence of the Shechina, based on this gemara, but how did Avraham know? The answer is that Avraham didn't know from a text, but intuited how one should act with Hashem. While some could say that Avraham knew the gemara in Shabbos because he knew all the Torah, we could say like the Rashba explained (and as we see in a midrash as well) when endorsing this idea, that Avraham intuited in his heart and kidneys how to act, even before the Torah was given. Related to this is the story of the Chafetz Chaim (author of Mishneh Berurah) who once skipped Shalom Aleichem, and only sand it after kiddush and hamotzi. When questioned as to the propriety of this, he explained that in this case, his poor guests were very hungry, but the malachim who accompanied him home from shul were malachim, who were not hungry, and could wait a bit. See Minchas Shai about this being kodesh vs. chol. I wonder if it actually worked in the opposite direction, namely that there was an argument of whether it was Adonay as kodesh or chol among Chazal (with little to no difference in pronunciation between them, as patach vs. kametz are quite close in pronunciation, perhaps a slightly longer vowel), and given all these Rabbinic sources fixing it as kodesh, it was set with a kametz in accordance with this midrashic interpretation. If so, no need for concern with the nikkud when dealing with peshat. אִם-נָא מָצָאתִי חֵן בְּעֵינֶיךָ -- as if he is asking a favor, even as he offers them hospitality. יח,ג וַיֹּאמַר: אֲדֹנָי, אִם-נָא מָצָאתִי חֵן בְּעֵינֶיךָ--אַל-נָא תַעֲבֹר, מֵעַל עַבְדֶּךָ. וַאֲמַר: יְיָ, אִם כְּעַן אַשְׁכַּחִית רַחֲמִין קֳדָמָךְ--לָא כְּעַן תִּעְבַּר, מֵעַל עַבְדָּךְ. ד יֻקַּח-נָא מְעַט-מַיִם, וְרַחֲצוּ רַגְלֵיכֶם; וְהִשָּׁעֲנוּ, תַּחַת הָעֵץ. 4 Let now a little water be fetched, and wash your feet, and recline yourselves under the tree. יֻקַּח-נָא -- the passive, let it be fetched. Rashi cites a midrash which connects this to the water that the Israelites receive via a shaliach. Baal HaTurim then draws a connection based on gematria, to reinforce this existing connection. מְעַט-מַיִם -- again minimizing his actions. Emor meat ve'aseh harbei, as action of tzaddikim (consider the stark contrast to what he actually does) as well as a polite mode of expression. However, as Rashbam notes, by Lot it was evening, while here, it was earlier in the day, which is why lodging (or sleeping) was not relevant. Perhaps we can compare, though, with וְהִשָּׁעֲנוּ תַּחַת הָעֵץ. Note also that just as by Avraham, lina was not relevant, by Lot, lina was not just relevant but the most important thing to take care of, because of nightfall as well as because of the evil nature of the Sodomites. וְהִשָּׁעֲנוּ תַּחַת הָעֵץ -- thus, providing them with shade from the חֹם הַיּוֹם. Rav Chaim Kanievsky notes in Taama deKra that according to a midrash, this occurred on Succot. If so, since Avraham Avinu kept the entire Torah, it must be that this tree was talush, detached from the ground, and it means that he built a succah, under which they sat. And even though travelers are exempt, if there is one available without difficulty, one is obligated in Succah. And this is the meaning of the pasuk כִּי-עַל-כֵּן עֲבַרְתֶּם עַל-עַבְדְּכֶם. This cute vort fits in with Rav Kanievsky's general approach to the avos keeping the Torah. But it is obviously farfetched. Rabbi Avishai David: Practice What You Preach! Rabbi Ally Ehrman: Could It Be That Yitzchak Was Actually A Korban? Rabbi Efrem Goldberg: A Smile of Laughter or a Smile of Cynicism? Rabbi Yehuda Goldschmidt: Pass Your Tests and You Too Can be a Great! Rabbi Meir Lipschitz: The Nature of a "Vision"
Rabbi Daniel Stein: Visting the Sick or "Examining the Sick"
Rabbi Moshe Taragin: Different and Inspiring!! Rabbi Andi Yudin: Tests Make a Person Great! Rabbi Eliezer Zwickler: Did Angels Really Visit Avraham? 1. At Life In Israel, the IPhone singled out for teshuva success. Cute way of putting it. The rabbi in question has condemned IPhone use in the past, but says he got special dispensation for his own use of it. 2. Meanwhile, someone emailed me that a few websites (Kikar, Ynet, Rotter) are reporting that there is a website that strongly hints that Rav Amnon Yitzhak is Mashiach. I don't see why this is news. Unless there is evidence that this fan of Rabbi Amnon Yitzchak is in any way affiliated with him, who gives a care? There are plenty of lunatics on the Internet, who post random stupid things. So here we have another lunatic. Just the other day, there was a lunatic, who rambles about conspiracy theories and the New World Order on his blog, who claims he knows who mashiach is, and even set a date for mashiach's arrival, based on purported evidence, in the form of 100 pages of proof, and the purported backing of Gedolim. למה אני מציין כל זאת? אני רוצה להעלות לפני הציבור שאלה, ואני לא אשיב עליה. האם הרב אמנון יצחק הוא האיש שלו עם ישראל ייחל אלפי שנים? הערה: מפלגת ש"ס מורכבת רובה ככולה מבעלי התשובה שעשה הרב אמנון יצחק במשך 35 שנות פעילות. הערה: הרב אמנון יצחק עוסק בלימוד תורה יומם וליל. מארבע וחצי לפנות בוקר ועד 12 בלילה כבר שנים רבות. Item #1 is that Rabbi Amnon Yitzchak has used scare tactics to trick people to move to Israel, and the Rambam says that mashiach will cause ingathering of the exiles. But there are other scaremongers out there. Nir Ben Artzi also tries to get people to move to Israel. The Tzaddik Nistar tricked Nava, of Dreaming of Mashiach, into moving to Israel, because mashiach was coming. Is the Tzaddik Nistar mashiach? Is Rabbi Lazer Brody? Item #2 is that Rabbi Amnon Yitzchak has made many baalei teshuva who are associated with Shas, whose slogan is להחזיר עטרה ליושנה, restoring the crown to its former glory, and this is (by kvetch) equal to restoring the (actual) kingdom of David to its former glory. Item #3 is that he learns and teaches Torah a lot, and this is therefore the same as the Rambam's statement that a king, of the house of David, who is learned, will compel all of Israel to go in the ways of Torah, and will fight the wars of Hashem. I am certain one can allegorize all of these, of course. But once one is kvetching, one can kvetch for many a public figure. My second set of reasons for explaining Rav Elyashiv's position in this way is that I have quite a bit of evidence for it - some of which I have not released before this post. 4. At the Talmud blog, updates to the Leiberman databases. and so on. Check it out. 5. At Chopping Wood, on learning gemara and daf yomi. During a recent Gemara shiur that I give here in Yad Binyamin, I mentioned a thought that Rav Tzuriel (the former mashgiach in Sha'alvim) once said that stuck with me. He said that he felt that instead of putting the commentary of the Ba'alei Tosfot on the side of the page of the Gemara and the commentary of Rosh in the back of the book, they should have switched the two and put the Rosh on the side and the Tosfot in the back. I'll explain. And yet, I think that the most appealing aspect of the Daf isn't the goal of finishing Shas, and it's certainly not that most people who learn the Daf hope to remember most of what they've learned. Rather, it's the kvi'ut (regularity) - the security of knowing that the system forces us to learn a set amount, each and every day. You have to keep up, because everyone else is, and even if it's not in depth; even if you don't fully understand every issue, it's time invested in Talmud Torah, which is time well spent. For years I've avoided learning Daf Yomi for reasons I consider legitimate. If you're reading this blog you probably know what they are without my needing to hash them out again. And yet, I've always done so from the outside, while people who "do the Daf" seem to like it quite a lot. So the time has come to "bite the bullet" and give the learning a shot. 6. 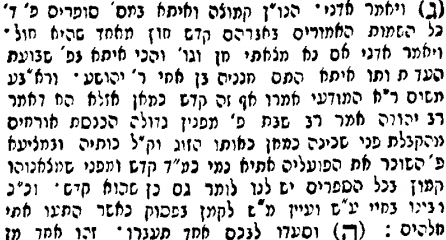 Menachem Mendel on the pitfalls of Daf Yomi. 7. Circus Tent with a Chasam Sofer on the importance of the tzaddik hador. 8. A letter Rav Shach wrote when Neil Armstrong stepped on the moon. א וַיֹּאמֶר ה אֶל-אַבְרָם, לֶךְ-לְךָ מֵאַרְצְךָ וּמִמּוֹלַדְתְּךָ וּמִבֵּית אָבִיךָ, אֶל-הָאָרֶץ, אֲשֶׁר אַרְאֶךָּ. 1 Now the LORD said unto Abram: 'Get thee out of thy country, and from thy kindred, and from thy father's house, unto the land that I will show thee. וַיֹּאמֶר ה אֶל-אַבְרָם -- For Noach, we were informed of him finding favor in Hashem's eyes, and that he walked with Hashem. Here, there is only this startling sudden directive. Midrashim fill in this gap, of Avraham finding Hashem and rejecting idolatry at an early age. These are midrashim, perhaps intended literally, but are not historical. Some of them, such as being cast into the furnace by Nimrod, are not maaseh avos siman labanim, but are rather maaseh banim siman le'avos from sefer Daniel. It certainly makes sense that there was some background, and some reason for Avraham to be chosen. The lecha is idiomatic. Get yourself a drink. Sit yourself down. It functions as an intensifier. There might be a connection to the widespread Amorite migrations in Mesopotamia. מֵאַרְצְךָ וּמִמּוֹלַדְתְּךָ וּמִבֵּית אָבִיךָ -- These are not three different places, but three ways of describing the same place. This is also an intensifier, to indicate to Avraham, and the reader, how much Avraham what Avraham is giving up. Compare with Hashem's instruction to Avraham later: ka na es bincha, es yechidcha, asher ahavta, es Yitzchak, with the associated midrash. מֵאַרְצְךָ -- He is leaving his own country, and will be a resident alien in another land. וּמִמּוֹלַדְתְּךָ -- and he is leaving the place he was born, and which fostered him. Maybe also the narrower neighborhood. וּמִבֵּית אָבִיךָ -- and is leaving extended family behind. Perhaps this is not "house of your father" but rather "your bet av", which is an extended family group. אֶל-הָאָרֶץ, אֲשֶׁר אַרְאֶךָּ -- This is putting faith in Hashem. He did not even know the destination, or the destination did not matter. 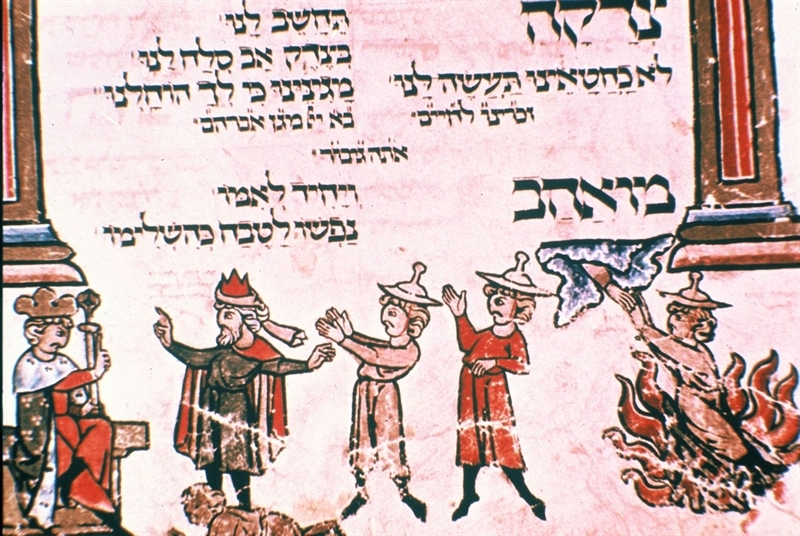 Compare to the faith Avraham displayed later on by akeidas Yitzchak, with וְהַעֲלֵהוּ שָׁם לְעֹלָה עַל אַחַד הֶהָרִים אֲשֶׁר אֹמַר אֵלֶיךָ. I think it is possible there that Avraham was informed fairly immediately of the place, such that we can be told that וַיִּשָּׂא אַבְרָהָם אֶת-עֵינָיו וַיַּרְא אֶת-הַמָּקוֹם--מֵרָחֹק. [יב, א]השם ציווה לאברהם ועודנו באור כשדים שיעזוב ארצו ומקום מולדתו, גם בית אביו. See what various meforshim say. I think a strong case can be made for option 3. This "brought thee out" indicated more than hidden Divine manipulation of historical events. There are difficulties with this interpretation, which are answerable. לא וַיִּקַּח תֶּרַח אֶת-אַבְרָם בְּנוֹ, וְאֶת-לוֹט בֶּן-הָרָן בֶּן-בְּנוֹ, וְאֵת שָׂרַי כַּלָּתוֹ, אֵשֶׁת אַבְרָם בְּנוֹ; וַיֵּצְאוּ אִתָּם מֵאוּר כַּשְׂדִּים, לָלֶכֶת אַרְצָה כְּנַעַן, וַיָּבֹאוּ עַד-חָרָן, וַיֵּשְׁבוּ שָׁם. 31 And Terah took Abram his son, and Lot the son of Haran, his son's son, and Sarai his daughter-in-law, his son Abram's wife; and they went forth with them from Ur of the Chaldees, to go into the land of Canaan; and they came unto Haran, and dwelt there. Terach age at Avraham's birth: about 70, based on Bereishit 11:26. Terach's age at death: 205, based on Bereishit 11:32. 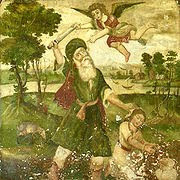 Avraham's age when he left Charan: 75, based on Bereishit 12:4. If so, Terach was 70 + 75 - 145, which was less than 205. Thus, Terach was still alive when Avraham left from Charan, in the next perek. The answer is that ain mukdam, and the next perek, a J stream, is zooming in to the micro level of what happened in Bereishit 11:31. Interjection: I generally dislike calculations of this sort, which force us into sometimes difficult interpretations of pesukim. 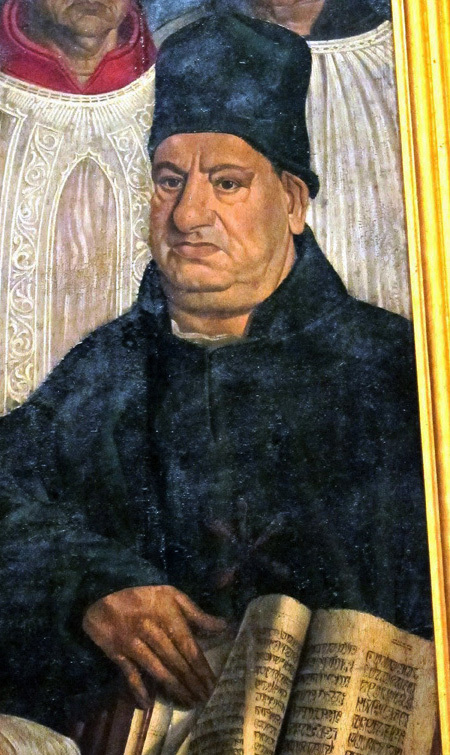 Who says we fully understand ambiguous pesukim, such as that Terach was 70 what he fathered three children, to mean that Avraham must have been the earliest, and such that this constraint will lead to a further interpretation down the road? Where the pasuk (11:32) tells us that Terach died in Charan, וַיָּמָת תֶּרַח בְּחָרָן, maybe this was intended to explain why he did not make the next leg of the journey, such that we see Avraham continued onward with Lot and Sarah. In other words, perhaps one call still say that Avraham only continued on after Terach's death, such that this portion is not necessarily ain mukdam. Yet the Divine instruction was what led them to leave Ur Kasdim, and so for this, at the very least, ain mukdam, or the transfer of macro-scale in P to micro-scale in J holds. I do think that Avraham left his father while his father was still alive. But this was not abandonment. I think that after the move to Charan, Terach and his family were established there. Though Nachor, Avraham's brother, is not explicitly listed as one of those who traveled with Terach (the Samaritans add explicit mention of him and Milkah) from Ur Kasdim to Charan, we see later that his descendants, Betuel, Lavan, and Rivkah, are living in Charan. The next difficulty is that it seems that in the movement from Ur Kasdim, it is Terach who took the initiative: וַיִּקַּח תֶּרַח אֶת-אַבְרָם בְּנוֹ. The answer is that, despite the Divine command to Avraham, Terach was still officially the head of the household, and since he is travelling as well, he should be listed first. ד וַיֵּלֶךְ אַבְרָם, כַּאֲשֶׁר דִּבֶּר אֵלָיו ה, וַיֵּלֶךְ אִתּוֹ, לוֹט; וְאַבְרָם, בֶּן-חָמֵשׁ שָׁנִים וְשִׁבְעִים שָׁנָה, בְּצֵאתוֹ, מֵחָרָן. 4 So Abram went, as the LORD had spoken unto him; and Lot went with him; and Abram was seventy and five years old when he departed out of Haran. But I don't think one needs to make this into a separate command, in order to accomplish the correct result of every movement being part of the Divine command. Hashem, after all, had told Avraham אֶל-הָאָרֶץ אֲשֶׁר אַרְאֶךָּ. So long as Hashem does not tell him to stop, for this is the land, Avraham is continuing. Further, see what the pasuk (11:32) stated: וַיֵּצְאוּ אִתָּם מֵאוּר כַּשְׂדִּים, לָלֶכֶת אַרְצָה כְּנַעַן. They had left Ur Kasdim to travel towards the land of Canaan. Then what? וַיָּבֹאוּ עַד-חָרָן, וַיֵּשְׁבוּ שָׁם. They paused for a while there. But still, they had not yet reached the land of Canaan. At a later point, Avraham, Sarah, and Lot continued on this journey. ב וְאֶעֶשְׂךָ, לְגוֹי גָּדוֹל, וַאֲבָרֶכְךָ, וַאֲגַדְּלָה שְׁמֶךָ; וֶהְיֵה, בְּרָכָה. 2 And I will make of thee a great nation, and I will bless thee, and make thy name great; and be thou a blessing. One can read this as a positive result of the leaving (meshaneh makom meshaneh mazal). One can read it as an assurance despite the negative effects one usually encounters when leaving. The first is Rashi on pasuk 1 and the second is Rashi on pasuk 2. Rashi is drawing these admittedly contradictory midrashim from different sources. The first Rashi, from Rosh Hashanah 16b, Tanchuma; the second Rashi, from Gen. Rabbah 39:11; Tanchuma Buber, Chaye Sarah 6. Don't get a headache trying to resolve the two. The dispute is whether וְאֶעֶשְׂךָ is a "therefore" or "and despite this". Hashem had a plan from the beginning, to give this particular land to Avraham and his descendants. This plan encompassed the entire patriarchal narrative, even unto the sale of Yosef and the descent into Egypt. This is not meshaneh makom meshaneh mazal. Hashem is kol yachol, and had He wished to make Avraham wealthy in Ur Kasdim, and Sarah fertile in Ur Kasdim, He certainly could have. But this is how Hashem decided to shape history. וְאֶעֶשְׂךָ לְגוֹי גָּדוֹל -- Leave as part of My enabling this to happen. וַאֲבָרֶכְךָ -- is this a positive spiritual blessing, or is it a way of conveying material success, directed from on high. וֶהְיֵה בְּרָכָה. בִּרְכַּת ה' הִיא שֶׁיִּשְׂמַח ה' בְּמַעֲשָׂיו, כְּמו שֶׁאָמְרוּ רַבּותֵינוּ זִכְרונָם לִבְרָכָה: 'יִשְׁמָעֵאל בְּנִי בָּרְכֵנִי. אָמַרְתִּי לו: יְהִי רָצון מִלְּפָנֶיךָ.. וְיָגלּוּ רַחֲמֶיךָ עַל מִדּותֶיךָ' (ברכות ז, א). אָמַר אִם כֵּן הֱיֵה לִי בְּרָכָה בַּמֶּה שֶּׁתִּתְבּונֵן וְתִקְנֶה שְׁלֵמוּת, וּתְלַמֵּד דַּעַת אֶת הָעָם. Thus, Avraham is a blessing to Hashem. I would simply say, "you will be in a state of blessing". Or, based on the next pasuk, "you will be referred to when people bless one another". Think Bilaam. I'm rubber, you're glue. All blessing comes from Hashem, and so Avraham is above any attempt by humans to curse him. Further, those who ally themselves with Avraham and seek out his benefit will be rewarded, and the opposite for those who take an opposite position. כ וַיְבָרְכֵם בַּיּוֹם הַהוּא, לֵאמוֹר, בְּךָ יְבָרֵךְ יִשְׂרָאֵל לֵאמֹר, יְשִׂמְךָ אֱלֹהִים כְּאֶפְרַיִם וְכִמְנַשֶּׁה; וַיָּשֶׂם אֶת-אֶפְרַיִם, לִפְנֵי מְנַשֶּׁה. 20 And he blessed them that day, saying: 'By thee shall Israel bless, saying: God make thee as Ephraim and as Manasseh.' And he set Ephraim before Manasseh. We should focus on why pasuk 4 and pasuk 5 are not mere repetitions of one another. וַיֵּלֶךְ אַבְרָם -- In similar fashion to "Just as Hashem commanded Noach, so did he do." The section began with לֶךְ-לְךָ, and so here we are told vayelech. כַּאֲשֶׁר דִּבֶּר אֵלָיו ה -- This is then the completion of the Divine instruction. וַיֵּלֶךְ אִתּוֹ לוֹט -- Because Lot will feature in the individual, micro-level action. Note Sarah is not mentioned, though she had been in the previous perek. וְאַבְרָם, בֶּן-חָמֵשׁ שָׁנִים וְשִׁבְעִים שָׁנָה, בְּצֵאתוֹ, מֵחָרָן -- This is the sort of concern that we saw in the previous perek, of establishing a Biblical chronology. How old was person X when significant event Y occurred? ה וַיִּקַּח אַבְרָם אֶת-שָׂרַי אִשְׁתּוֹ וְאֶת-לוֹט בֶּן-אָחִיו, וְאֶת-כָּל-רְכוּשָׁם אֲשֶׁר רָכָשׁוּ, וְאֶת-הַנֶּפֶשׁ, אֲשֶׁר-עָשׂוּ בְחָרָן; וַיֵּצְאוּ, לָלֶכֶת אַרְצָה כְּנַעַן, וַיָּבֹאוּ, אַרְצָה כְּנָעַן. 5 And Abram took Sarai his wife, and Lot his brother's son, and all their substance that they had gathered, and the souls that they had gotten in Haran; and they went forth to go into the land of Canaan; and into the land of Canaan they came. The focus here is not fulfillment of the Divine directive. It is progression of the genealogical line, listing where each person moves. Compare וַיִּקַּח אַבְרָם אֶת-שָׂרַי אִשְׁתּוֹ וְאֶת-לוֹט בֶּן-אָחִיו to the pasuk in the previous perek, וַיִּקַּח תֶּרַח אֶת-אַבְרָם בְּנוֹ, וְאֶת-לוֹט בֶּן-הָרָן בֶּן-בְּנוֹ, וְאֵת שָׂרַי כַּלָּתוֹ, אֵשֶׁת אַבְרָם בְּנוֹ. Also compare וַיֵּצְאוּ לָלֶכֶת אַרְצָה כְּנַעַן וַיָּבֹאוּ אַרְצָה כְּנָעַן in this pasuk with וַיֵּצְאוּ אִתָּם מֵאוּר כַּשְׂדִּים לָלֶכֶת אַרְצָה כְּנַעַן וַיָּבֹאוּ עַד-חָרָן וַיֵּשְׁבוּ שָׁם. This is then the ending point of travel from Ur Kasdim to Eretz Kenaan, with the interlude in Charan. וְאֶת-כָּל-רְכוּשָׁם אֲשֶׁר רָכָשׁוּ וְאֶת-הַנֶּפֶשׁ אֲשֶׁר-עָשׂוּ בְחָרָן -- Perhaps to demonstrate an initial fulfillment of the Divine promise of reward, when Hashem told Avraham Lech Lecha. ו וַיַּעֲבֹר אַבְרָם, בָּאָרֶץ, עַד מְקוֹם שְׁכֶם, עַד אֵלוֹן מוֹרֶה; וְהַכְּנַעֲנִי, אָז בָּאָרֶץ. 6 And Abram passed through the land unto the place of Shechem, unto the terebinth of Moreh. And the Canaanite was then in the land. וְהַכְּנַעֲנִי אָז בָּאָרֶץ -- Of course, they were there as well later. But recall that this was called Eretz Kenaan. This parenthetical remark explains that. This has the flavor of a parenthetical remark. Should a parenthetical remark interact with pesukim in direct context? That is, can we say that the spark for וְהַכְּנַעֲנִי אָז בָּאָרֶץ is the following statement, that לְזַרְעֲךָ אֶתֵּן אֶת-הָאָרֶץ הַזֹּאת? Rashi suggests that only now were they in the land, but not before. Why specifically the nefesh they made in Charan?